Adventures of Heidi Anne, Rowan and Tiny Anastasia! : NICU Journey Week 2 - Got to Hold Anastasia!! My friend, Cori, shared this picture with me. 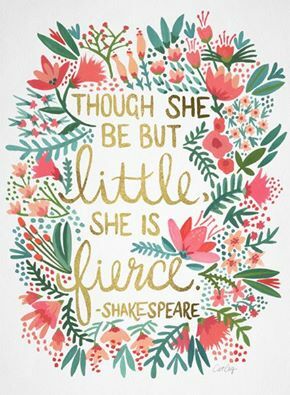 I think it describes tiny Anastasia perfectly! The nurses set up a webcam for me today! It's a tad off center, but just seeing half of Anastasia was wonderful. I got to see the little wiggles, her tiny bow, her sweet face. It's amazing that I'm over 70 miles away but with technology I can still connect with her and be in the loop as to what's going on without having to call. (Oh, I still call - the webcam lacks sound - so I can see her but can't hear the updates). They took out her ART line today, it was the small white line coming from her umbilical cord. They could use the line to draw blood. But now she's older and it's time for it to come out. It's a good thing. In other news I spent some one on one time with Heidi Anne. We put together a Lego valentine Aunt Deb sent her. Heidi's been so worried about the baby and it's hard to divide up the time. Somehow, despite the c-section, I helped her put it together and talk about her worries and fears. She loved it. I guess this journey impacts the whole family more then I realized. We're supposed to go visit little Anastasia this morning but it's snowing. Hopefully, it stops so we can see her this afternoon instead. It's amazing how important these visits have become. Praying the snow stops so I can see my tiny girl. The snow stopped so Char, Heidi, and I made the drive down to see her. I have to say what a big girl Heidi Anne has been. The car ride is 3 hours round trip, plus we spent nearly 3 hours at the hospital. She read, colored, and just walked around the hospital a bit. It can't be easy going from the only child to the oldest of three in less than a year. I was in for a treat today, I got to hold her (really hold her) for the FIRST time today! It was wonderful to finally hold my baby after 10 days of waiting. My normal nurse was swamped so the respiratory therapist helped me out. Hence, I didn't do the kangaroo hold (A.K.A skin to skin cuddles) this time because I wasn't told I could. But next time I get to hold her I'm going to try it, apparently it helps with bonding even more. Truth be told, I was thrilled to hold her no matter the type of hold it was. It took a few minutes to get her settled into my arms. Once in my hands I was reminded just how teeny and fragile Anastasia really is. (I have small arms and hands, throwing the proportions off a tad, but she's smaller than most dolls). I sat there cuddling her for over a hour and a half. I called and did face-time with Char and Heidi so she could see the baby in real time. I sang to Anastasia, recited some Dr. Seuss I have memorized (thanks to the older two kids), told her I love her. I wish I had better words to describe how I felt holding her all I can say is it was priceless time spent. After awhile I figured Char would like a turn to hold her as well. I called Char again and offered to switch. I would watch Heidi Anne and he could spend time with Anastasia. He got to hold her and recorded her cares for Heidi Anne to watch. Next time we're going to actually help the nurses out with her cares. Afterwards, we took Heidi Anne out to lunch at the hospital cafe. It's one of the few times we took her out to eat. Anastasia is back under the beli lights today. I'm glad we visited yesterday because we wouldn't be able to hold her today. According to the nurses she's more irritable today. We figured out it's because she can't be nested and swaddled. It appears she loves to be confined and bundled up. Last night we had a few changes. Her tummy was full from feeding, she's at 15 mls (which is half an ounce) and when you're 2 pounds 3 ounces that's a lot of food. She started to have trouble breathing so they increased her oxygen. She's still under the beli lights. The nurses found a way to keep her confined and comfy. They have started tummy time with her, which she apparently loves. I admire how inventive the NICU nurses are. In other news Rory came back home today! He's been at Grandma's house since the doctor's appointment last Tuesday. Which has helped out an unbelievable amount with my c-section recovery and visits to Anastasia. I'm noticing a trend with tiny Anastasia, things seem to always happen at night. For example, how many times do you think a 27 weeker can pull out her feeding tube? 3, she can do it 3 times in 12 hours. Apparently, she is just that determined. She also got moved to 3 hour apart cares and feeding. So she got nice and swaddled. Today was a hard one, I kept missing Anastasia meanwhile, Rory is out of sorts. It's hard trying to remind yourself that you need to focus on the sick baby at home but you also want to be there with the sick baby at the hospital (who has a doctor, APRN, RN, and respiratory therapists, ect) tending to her. I just got the sweetest package from my friend Valerie. All 4 of her children made Get Well Soon cards and a lovely letter from her to me. This couldn't have come at a more perfect time. It really lifted up my spirits. These are so going to the NICU on her isolate and then into her memory box. Aren't they cute? Today we got to visit Anastasia!! She had a lot of changes over night. First, she had all her IVs and PICC line removed. Now she's getting all her nutrition from the breast milk (which they are continuously feeding her at a slow rate (for example, it takes her 2 hours to take in 20 mls and she's feed every 3 hours). Lastly, she was moved from the Critical Care room to the Intermediate Care room (that's great news). I didn't get to hold her as long as last time, the nurse was old school and rather overprotective. She insisted that Anastasia only be out for 30 minutes. I complied at first and just watched her in the isolate. Then I realized "Hey, I'm the mom here. Besides last time they let her be out for nearly 2 hours!" I explained to the nurse how we're the family that lives in Wyoming and I haven't seen my baby in 4 days and I won't see her for at least another 3. Finally, she relented. I got to do skin to skin (a.k.a Kangaroo hold) with Anastasia. Oh, she was all frigidity until I held her and then she fell asleep on me. I cried because my tiny baby was in my arms and resting on my chest. I could feel her little heart beating away, her inhalations, her hand laying across me, even her feet when she kicked a time or two. After nearly 45 minutes I decided that Char should have a turn holding her. We switched and I tended to Rory in the waiting room while Char visited the baby. The pictures aren't great because the nurse didn't want the lights on since the extra lights could impact her vision. Choose your battles wisely. I did meet a family that made me realize how lucky we are. I'll take Anastasia's issues and an overprotective nurse versus what they're going through any day. Anastasia's back to her birth weight!! She weighed 1040 grams (2 pounds, 5 ounces) at birth but dropped down to 840 grams a few days later. Ever since then the NICU staff have been trying to pack on the calories to get her to grow. She hit a major milestone today.